Many people the world over know and depend on Dyson products every day. 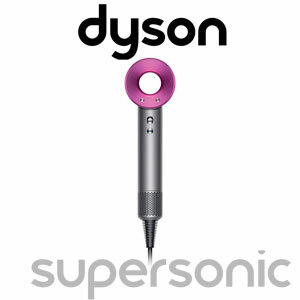 The name Dyson has become synonymous with high tech, high quality and high end products. This brand is infamous for taking mundane items and transforming them into innovatively engineered solutions with the typical peevish issues removed. The brand already produces top-of-the-line vacuums, fans and hand dryers, so it was only a matter of time before Dyson engineers tackled the beauty sphere with the new Dyson Supersonic hair dryer. Already lauded as one of the most innovative hair tools on the market, Dyson did its research (as always) to make a well-crafted product capable of carrying the brand name. The Supersonic’s intense digital motor with patented Air Multiplier technology amplifies, pressurizes, and focuses air for optimal results. Needless to say we were beyond thrilled to have the opportunity to create a 360 degree photo booth experience for the launch of the new Dyson Supersonic. Working with the Dyson team, we customized the 360 photo booth for seamless integration with branding, messaging and overall look of the launch party. Party attendees were able to directly interact with the new product inside the the 360 photo booth, posing with friends and colleagues in wigs color-coordinated with the Supersonic hair dryer. At Pixperience, custom luxury photo booths like these are our bread and butter. We love tailoring each booth’s specifications to align with our client’s goals and the overall look and feel of their events. Dyson was certainly no exception. Bullet time photo booths like the one used at the Dyson launch party create an unsurpassed, instantaneous energy in event crowds. These booths provide the canvas for long-lasting event memories that cast your company and its products in a more than favorable light. They allow for guests to have these memories automatically delivered to their inboxes as well as access private microsites for share-worthy photos on social media channels. See the Dyson experience for yourself by watching our launch party video or view some of our other work to gain inspiration for your next tradeshow or company event. And contact us to learn more about our services, whether you need 360 booths, green screens or custom video and photo pages.